A sculpture believed to have been imported in town during Spanish colonial conquest, locally known as "Mahal na Señor Sepulcro" (Holy Sepulchre), is celebrating its 500 years. Meanwhile, composed of non-actors, Senakulo re-enacts the sufferings and death of Jesus. As the local community yearly unites to commemorate the Passion of Christ, a laborious journey unfolds following local craftsmen in transforming blocks of wood into a larger than life Jesus crucified on a 12-ft cross. 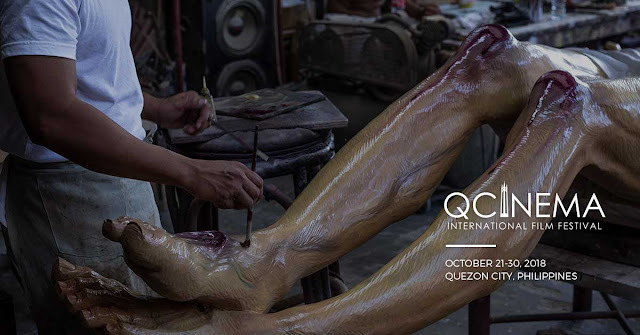 The film is a 5-year visual ethnography of traditional yet practical orchestration of Semana Santa in a small town where religious woodcarving is the livelihood. An experiential film on neocolonial Philippines' interpretation of Saints and Gods through many forms of rituals and iconography, exposing wood as the raw material that undergoes production processes before becoming a spiritual object of devotion. A 5-year film in the making of the age-old wood carving tradition of Saints and Gods in different areas in the Philippines.